The Segway HT short for human transporter was introduced to the market in 2001 with much hype and speculation and hailed as the new high tech transporter that was going to change the way people get around. A book by John Doerr predicting "the Segway would be more important than the internet". The Segway HT was developed from the self-balancing iBOT wheelchair creating a stand-up transporter that was operated unlike anything before. Unfortunately, the Segway HT did not take off as predicted. The design was criticized by Steve Jobs and the television program South Park devoted a full episode to making fun of the all the hype before being released. Another problem was the price of $3000. For a limited use transporter, the average user could not justify purchasing one. You could find them at Science Centers and some other professional applications like Mall Security. "Mall Cops" another movie that made fun of the Segway. Fast forward almost twenty years and attitudes have changed. The hoover board was introduced in the last few years and has proved very popular despite safety issues and overall low quality of some models. Priced as low as $99 and going up to $600 plus. See pricing. The hoover board is now much more accessible to the average consumer. Seeing this inspired Segway into taking another kick at the can and come out with the LOOMO that received a lot of attention at CES 2018. They reduced the size from the original Segway HT added a interactive robot and came up with a robot you can ride. A combination transporter and personal robot at a more reachable $1799 price. They are working on their Kick-starter campaign now and the Early bird deal is $1399 and they are now taking orders Estimated time of delivery is May of 2018. So lets have a closer look at what the new LOOMO is all about with my LOOMO Mini Transporter Overview. What is a LOOMO Mini Transporter? The LOOMO Mini Transporter is a personal mini transporter meets robot sidekick. A robot you can ride. LOOMO has a smooth ride with, auto-follow, obstacle-avoidance and playful personality with many more apps and possibilities be develop. Powerful AI that incorporates Intel RealSense. RealSence Technology allows you to interact with your computer more like you do with people. It can understand your hand and head movements—even your facial expressions. The LOOMO operates on the same principles as the original Segway HT and has self-balancing operated with RealSense controls. It has touch sensors and five microphones to allow LOOMO to respond to touch and voice commands. It can also be operated with an app on a smartphone. 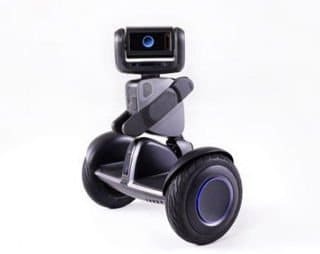 Since Segway first came out with their personal transporter in the early 2000s, a number of companies have been working on something that was a little far-fetched at the time, a personal robot. Pricing at the time for a personal robot was very expensive if they were even available for purchase. This new technology was still under development and not ready for the retail market. The last number of years has seen a number of consumer-ready robots coming to market at a more reasonable price. Since most of the robots available today are designed for indoor use Segway decided to make The LOOMO Mini transporter the only take anywhere robot on the market that you can ride indoors or outdoors. "AI powered Segway with smooth ride, auto-follow, obstacle-avoidance, playful personality & much more"
The ride is self balancing like the original Segway and controlled with RealSense Technology. It takes a little getting use to stand up and you will get your balance, lean slightly forward to go forward and lean side to side to steer. The Loomo Mini can travel up to 18 miles (28km) at a speed of up to 11 mph (18km) with a single charge. The robot is power by a quad-core Intel Atom Z8750 processor, 4GB RAM, and 64GB storage. The LOOMO will recognize you and follow you around it kind of like a real version of Walle. They developed a software that Segway calls a Human Understanding System. This enables LOOMO to recognize faces and respond to human actions like hand signals. The Segway LOOMOs face is a 4.3 inch LCD screen that follows you and allows you to interacts with the emotion engine. This is Segways "Playful personality" features that make it a lot of fun to interact with as with other voice command systems it will learn more about you and personalize your experience. It can take pictures and videos with its 1080p video camera. You can operate it remotely with a smartphone and a number of new applications are just around the corner. With its Android-based (SDK) Software Development Kit LOOMOs personality and functions will only get better as this open system allows third-party developers to expand on this with new skills and functions. This will create a number of new applications in the near future. It is not quite clear who the consumer will be. I think as it gets out to the public many more applications will be developed. 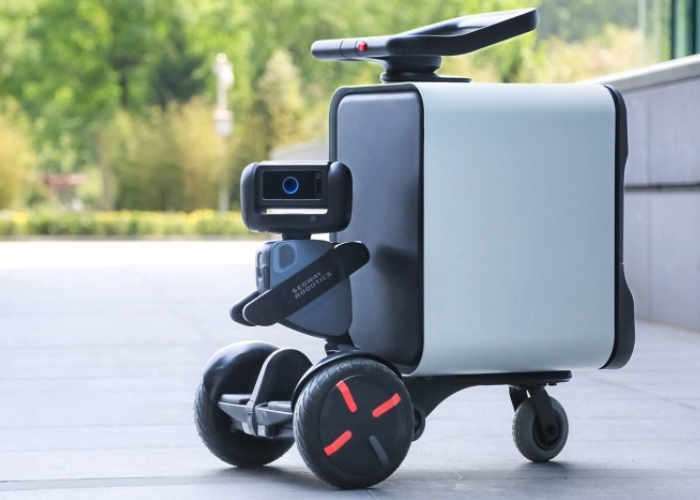 They have plans as for a delivery robot. It could be used to help older people and provide a watchful eye for protection and if any medical emergency comes up contact help. I think Segway was a little ahead of their time when they came out with the Segway HT. The price was too expensive for the average consumer to warrant buying one and somehow the publicity at the time reduced the coolness factor to a joke. I think times have changed and the LOOMO Segway robot is going to have much better success. With the explosion of voice-activated controllers launched in 2017, a personal robot is not so far-fetched anymore. 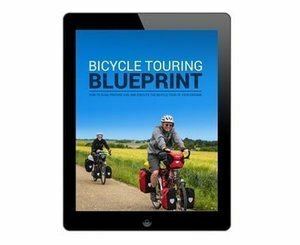 The $1799 retail price is a little more reasonable at. You can get them now at $1399 intro pricing during their crowdfunding campaign and I would imagine if sales go well that they will be priced at under $1500. A personal robot to help you with a number of things plus a fun ride to get you around make the new LOOMO a fun new device.